Every Friday evening, RVA Magazine brings you an excellent playlist curated by influential artists, musicians, and institutions. This week, we get some wonderful sounds put together for us by Cardinal, an up-and-coming Richmond quintet with a wonderful sound of their own. Growing out of short-lived local math-rock trio Majjin Boo, Cardinal combine the intricate guitar melodies of math-rock with a stronger melodic sense and a layered depth of sound. Cardinal just released their latest single, “One Wing,” and will be playing at The Camel on Wednesday, April 3 with Massachusetts group And The Kids (more info here). Their weekend playlist gives us a preview of their live performance by featuring both of their recent singles, then goes on to present a smorgasbord of post-rock, indie, math-rock, and emo tunes that’ll fill your weekend with inspiration. Every Friday evening, RVA Magazine brings you another incredible playlist curated by influential artists, musicians, and institutions. This week, our playlist comes from Kristeva, an up-and-coming post-rock ensemble from Richmond, which mixes classical stringed instruments and occasional blackened screams into its epic instrumental grandeur. 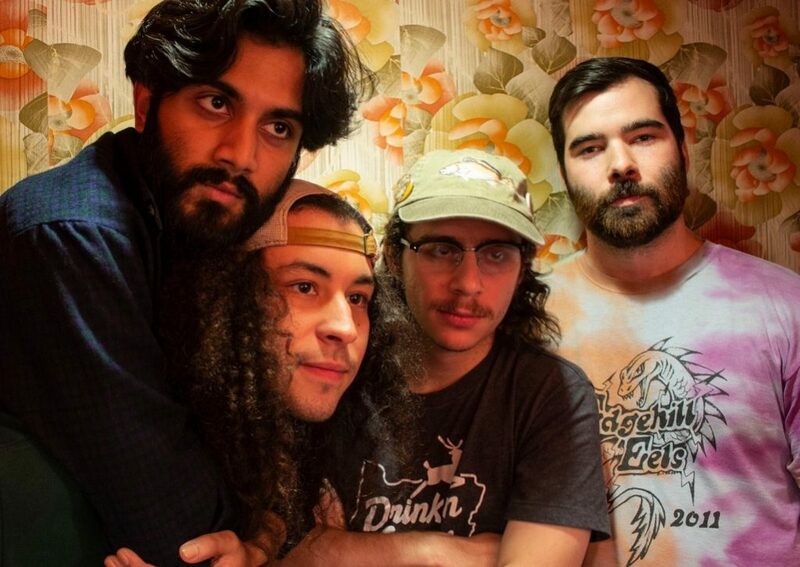 Kristeva will be headlining the Camel’s Shamrock The Block after party Saturday night, which has been cleverly titled “Post-Rock The Block.” They’ll also be releasing the cassette version of Goliad, their newest EP. You can get a preview of that EP in the Weekend Playlist Kristeva has created for us, along with a fine selection of ambient, emo, post-rock, indie, and even hip hop and metal — plus you’ll hear tunes from the Richmond bands they’re sharing the bill with at The Camel tomorrow night. So what are you waiting for? (Post-) rock it out, Virginia. On their upcoming debut album, Fredericksburg quartet doe deer captures years of musical and personal metamorphosis. doe deer (the lack of capital letters is intentional) is an emerging indie-garage four-piece hailing from Fredericksburg, VA. The group, which consists of vocalist and guitarist Nabeel Mirza, bassist Paul King, guitarist Matt Leibowitz, and drummer Forrest Fallon, is currently working on their debut album, Weekend, which has been years in the making. The roots of Weekend date back to before doe deer became an actual band. Having begun as Mirza’s solo project, Weekend revamps his older solo works alongside newer songs that mark doe deer as the full band it’s grown to be. In this way, Weekend will provide the rare opportunity to hear years of musical growth all in one album. “It’s mainly the older stuff that was [Mirza’s] solo project,” said Leibowitz. “I think we have two or three new songs on the album that we wrote together.” While the album will encapsulate years of songwriting, the subject matter, which explores topics like depression and relationships, keeps the album tight and cohesive despite the span of time between tracks. As the band expands, so is their sound, as they slowly move away from their lo-fi beachy roots. doe deer’s songwriting often happens organically during band practices when someone will come in with a new idea for a riff or the group takes a moment to play around and rework older ideas. “We just click together,” adds Mirza. For a band that started out as a solo project, this represents quite a change. But it has evolved smoothly; the two began playing music together after Leibowitz filled in for Mirza in his former band Shirt/Pants, back when both were still living in Washington DC. They later connected at the University of Mary Washington in Fredericksburg, which is where they met Fallon and King. The original full-band version of doe deer was a trio, with Fallon backing Leibowitz and Mirza. King was a later addition to the band, a friend of the guitarists who often traveled with them to shows across Virginia and DC. “I pestered Nabeel and Matt for a week to get to in the band,” King said. “We were just like, ‘Dude, why wouldn’t you be in the band?’” Mirza said. Recently, the group pitched in to buy King a new Hofner Violin bass. Still in the process of recording and mixing, the current recording sessions represent the band’s third time recording the material; first as Mirza’s solo work, again as a three-piece, and now a final time with all four members. “It sounds a lot better, but takes a lot longer,” said Leibowitz. “We’ve also got more mics this time around,” said Fallon. With three out of the band’s four members still attending the University of Mary Washington, recording has been difficult, especially with the band’s busy booking schedule. The shows are what keep doe deer alive and electric, from their more musically intense moments to Leibowitz selling his homemade sauces and spicy pickles as band merchandise between songs. The energy they create on stage can be felt in the room, even by the band themselves. The group’s positive and exciting experiences at their first few shows are what solidified them as a band. Leibowitz, Mirza, and King will be graduating from UMW in May, and their post-grad plans will decide the future of the band. doe deer isn’t ending anytime soon though, with future releases and shows already lined up. This summer, the three UMW grads plan on moving to Richmond, where Fallon has since made his home since graduating from the university in 2017. “Ideally I would like to keep playing more shows and putting out music for as long as we can,” Mirza added. The band plans to release Weekend in the next few months, though they are reluctant to set an official release date at this point in the process. For now, doe deer is hard at work ensuring that their third time recording the album will be the charm. By paying tribute to their evolution with their debut album, doe deer will turn their focus on the future. This time around, we’ve got a great one from Horsehead, long-running RVA alt-country/rock n’ roll veterans who have made their name with consistently killer live shows. They released their sixth LP, Pageant Wave, at the end of last year, and you can grab vinyl in all the local outlets for that sort of thing… but more importantly, you can catch Horsehead live twice this month. First on the 15th with Kenneka Cook over at The Camel (grab tickets to that event HERE), and again on the 30th with Susan Greenbaum at the recently-opened Ashland Theatre (grab those tickets HERE). For now, though, to get you warmed up, we’ve got a great playlist from the Horsehead boys, full of indie, pop, country, soul, and good ol’ classic rock n’ roll. This one will keep you high-flying all weekend, so dive in, Virginia, and drink deeply of this one. 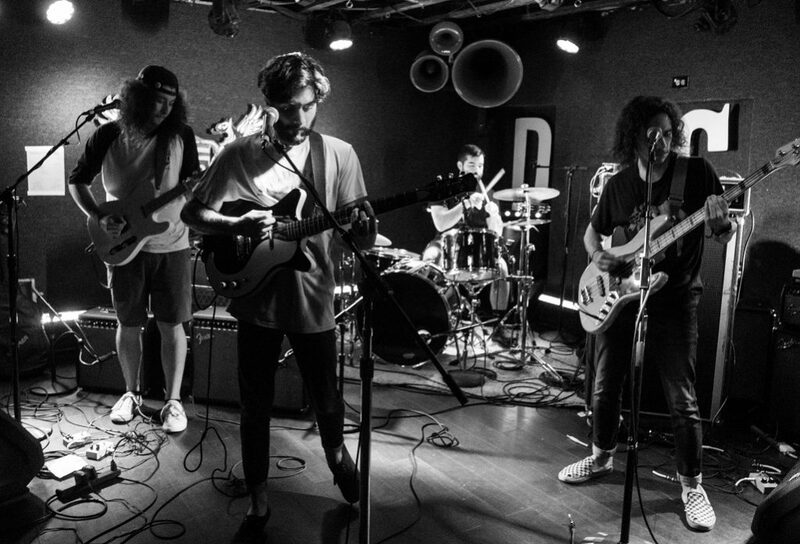 This week, we receive a potent musical dispatch from Big Something, the North Carolina alt-rock group with strong enough ties to Richmond to have released a live album recorded at The Broadberry. This weekend finds the group returning to The Broadberry for their first-ever two-night stand here in Richmond, which promises to liven up the weekend for the entire town. But in the meantime, we’ve got a set of incredible music that truly shows off this band’s eclectic tastes and wide-ranging influences. From jazz to hip-hop to the kind of rockin’ they’ve led us to expect, Big Something previews the live performances they’ve got on tap for tonight and tomorrow with what amounts to an excellent DJ set you can jam while you get prepped for the gig. Check it out, Virginia! And grab your tickets to see Big Something tonight or tomorrow (or both!) at bit.ly/BigSomethingRVA.